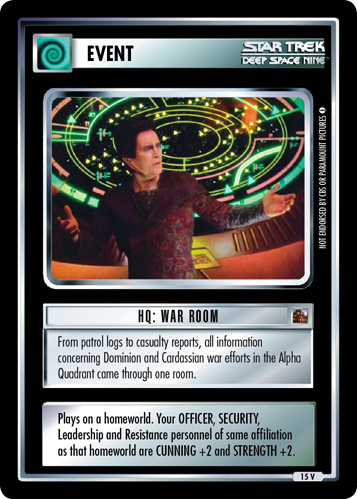 From patrol logs to casualty reports, all information concerning Dominion and Cardassian war efforts in the Alpha Quadrant came through one room. Plays on a homeworld. 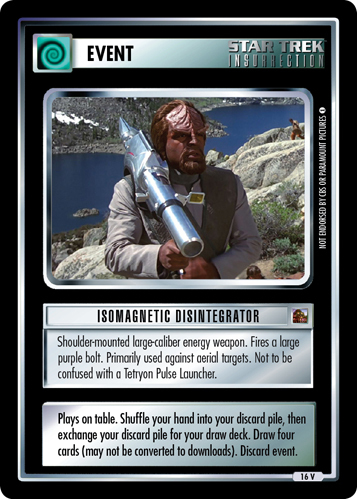 Your OFFICER, SECURITY, Leadership and Resistance personnel of same affiliation as that homeworld are CUNNING +2 and STRENGTH +2. 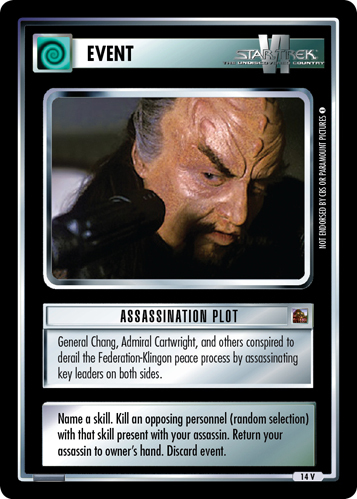 Image Source: Deep Space Nine: "The Changing Face of Evil"